The Home Free will perform Live for their Timeless Tour in Branson for one night on June 15, 2018 at 8 pm Friday at the Mansion Theatre located at 189 Expressway Lane, Branson, Missouri. This is going to be one of the most fascinating shows in Branson where you can watch Home Free as they bring their talents to the Ozarks. This musical group performs high energy music that is sure to create a carefree atmosphere that can be enjoyed by audiences of all ages. With their own great music, you will be able to hear a variety of hits from country’s most well-known artists. As an acapella group, you’ll be enlightened to listen to their music they created with nothing more than their own vocals. As a talented musical group, they have won NBC’s The Sing-Off, a competition reality show. Their music styles are about country and pop, so no matter what genres you listen to, you’re sure to enjoy a great time listening to their music. Home Free brings new music, new production and more country favorites as they appear for the first time in Branson stage. This 5-man band has become known for their show-stopping performances that go along with their signature no-instrument, all-vocal music with their quick-witted humor. Home Free has become a household name for introducing Nashville country standards with country-dipped pop hits. In the past 3 years, this singing group has crashed the world music scene after they have sold 250,000 albums, racked up more than 100 million YouTube views, and entertained more than 150,000 people live in concert. In 2013, they were the Season 4 Champions of NBC’s The Sing-Off and in 2015 the group celebrated the release of Country Evolution, which debuted at no. 4 on the Billboard Country Charts, making them appear in the headlines. Their 2016 release of Full of (Even More) Cheer debuted at no. 2. Home Free has catapulted themselves into the music industry after they won the 4th season of the Sing Off. They have released three different acapella albums. The five members of the band cover a range of vocal sounds, combining their tones to create an unforgettable sound. So be sure to check out this fantastic acapella group as they perform live for their Timeless Tour in Branson. This limited engagement show in Branson will allow guests to dance and sing along with the amazing singing group. Prior to their achievement in music, Home Free spent plenty of time on stage, touring fairs, campuses, and various companies along the way. 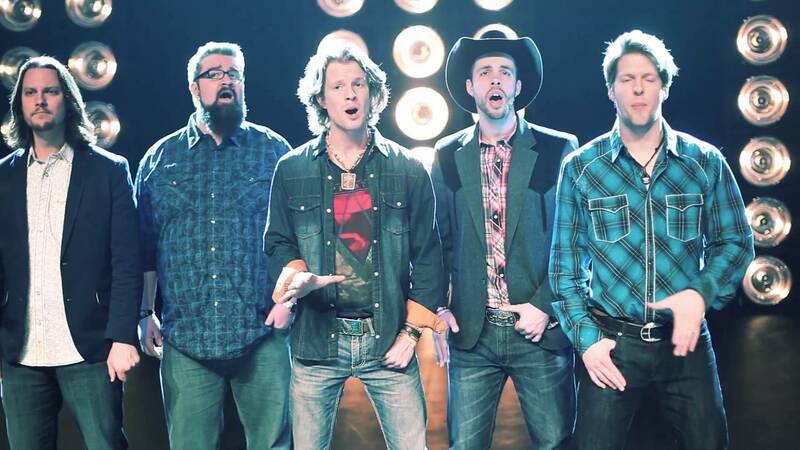 This dynamic singing group has taken the music scene by storm since their victory, and with all vocals and no instruments, Home Free has changed Nashville standards with their country-pop style of music. This show in Branson will combine Home Free’s raw and smooth vocal harmonies with the band member’s humor to bring you an amazing show you won’t forget. So, if you are looking for a fascinating show in Branson, don’t miss to check out Home Free live for their Timeless Tour in Branson.